The integrity of any aircraft’s wiring system is absolutely vital for safe flying. Once overlooked with tragic consequences, wiring harnesses and connectors now receive the crucial attention and maintenance they warrant, says Nick Rice. The commercial aviation industry is constantly striving to evolve new methods, improve materials and work collectively towards the core priority of flight safety. An average passenger may think of the inherent dangers of f lying as being connected to the failure of the substantial elements of an aircraft – the engines, the avionics, the airframe structure itself. It is natural to overlook the less obvious and largely invisible elements, such as all the wiring that is used in commercial aircraft. And yet the integrity of the wiring harnesses and connectors that enmesh the internal structure of an aircraft, like veins delivering lifeblood, couldn’t be more important. As automated systems and new technologies are integrated into today’s commercial airliners, the amount of wiring has ballooned. 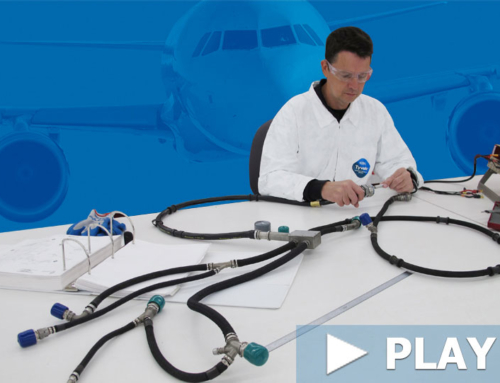 There are approximately 74 kilometers of wiring in Boeing’s 737-300/400/500 models and around 67 kilometers in the 737-600/700/800/900ER (Extended Range) models, all necessary for a multitude of electrical instrumentation and sensors. This is a typical amount of wiring in modern aircraft but it pales in relation to certain airliners. The Boeing 787 Dreamliner has 100 kilometers of wiring with over 3,500 connectors and 40,000 cable segments. This is comparatively frugal when considering Airbus’ A380, which carries an astonishing 530 kilometers of wiring. All these kilometers of individual wires need to be bundled together into a harness and kept entirely safe and functional during the most extreme environments. 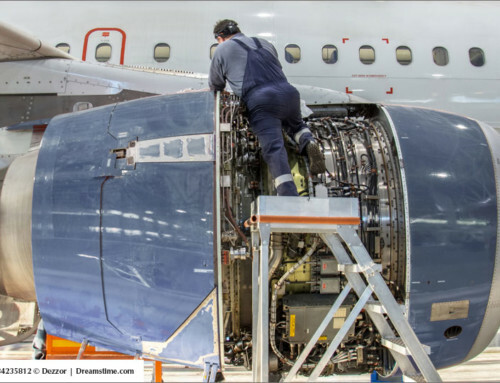 Wiring, whether in the airframe or in the engines, has to withstand all forms of stress, including bending, cracking, intense heat, humidity, dust, foreign object damage (FOD), moisture, grease, corrosive fluids, vibration and friction. 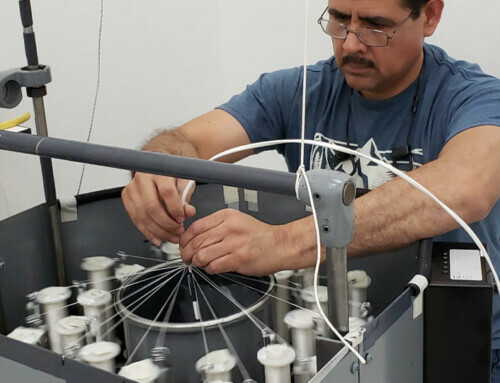 That’s a lot of factors to manage during the decades of an aircraft’s operational lifetime, but the importance of effectively maintaining wiring harnesses cannot be understated. Any lapse in vigilance can ultimately result in tragedy. Investigators from the National Transportation Safety Board (NTSB) concluded that a spark from faulty and deteriorated wiring caused an explosion on board the 747-100 TWA Flight 800 in 1996, resulting in the loss of all 230 passengers and crew. The official NTSB Aircraft Accident Re- port determined that the probable cause of the accident “was an explosion of the centre wing fuel tank, resulting from ignition of the flammable fuel/air mixture in the tank”. The short-circuiting of heavily worn wires was also cited as the cause of a cargo door suddenly opening at 23,000ft on United Airlines Flight 811 in 1989, sucking nine passengers out to their deaths on the 747. Another terrible loss occurred due to faulty wiring on board Swissair Flight 111 in 1998. Sparks were emitted, possibly from wires within the in-flight entertainment system, which ignited flammable insulation material causing a fire to spread to the cockpit. The pilots were subsequently overwhelmed by the f lames and the MD-11 crashed into the Atlantic Ocean with all 229 on board lost. Again it was a wiring issue that caused the 737-200 Copa Airlines Flight 201 f lying from Panama to Colombia to crash in 1992. A malfunctioning wiring harness in the artificial horizon and altitude indicating instruments triggered intermittent short circuits due to a pinched wire. The captain consequently received flawed instrument readings and the aircraft fell into a steep dive with no chance for recovery, eventually crashing into the swampland of the Darién Gap in Panama with all 47 people lost. These examples clearly make for very uncomfortable reading, but it highlights how imperative the wiring harnesses and connectors are in any aircraft. Before the TWA Flight 800 and SwissAir 111 tragedies the wiring on aircraft was ostensibly a minor concern. In response to these aviation accidents, the Aging Transport Systems Rulemaking Advisory Committee (ATSRAC) was chartered to gather industry leaders for the examination of ageing aircraft systems. When MROs have to deal with aircraft more than 20 years old wire checking has to be meticulous. The complete re-wiring of ageing aircraft has not been adopted and so the issue of wire deterioration is tackled with the installation of EWIS that can monitor wire ageing, in compliance with the Original Equipment Manufacturer (OEM) Standard Practice Manuals and EWIS tasks that are incorporated into the Aircraft Maintenance Programme. New materials and technologies should improve the safety of wiring within modern aircraft and significantly reduce incidents and crashes. As with any industry, the evolution of new technologies and the implementation of new materials is hoped to have a positive impact across the board, improving passenger experience, all round efficiency and therefore profit, and most crucially, safety. 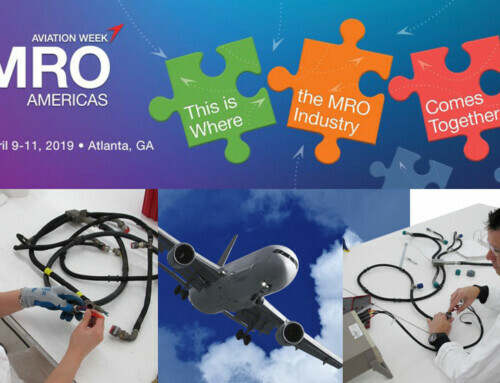 Sam Symonds, president and CEO of Co-Operative Industries Aerospace & Defense (CIA&D), an industry leader and manufacturer of electrical wiring cables and interconnects for over 66 years, elaborates on more new developments in the sector. Although there has been some success achieved with small portable devices used for testing harnesses on the f light line — which have improved trouble-shooting and eliminated unnecessary harness replacements — there is sadly no magical handheld gadget that aircraft maintenance technicians can wave over long lengths of wiring harnesses to detect any irregularities and address any inconsistencies. A more exhaustive physical and visual approach is required. The aviation industry has rightfully elevated the level of attention that all wiring in any aircraft deserves. In order to avert any further disasters the maintenance must be f lawless. 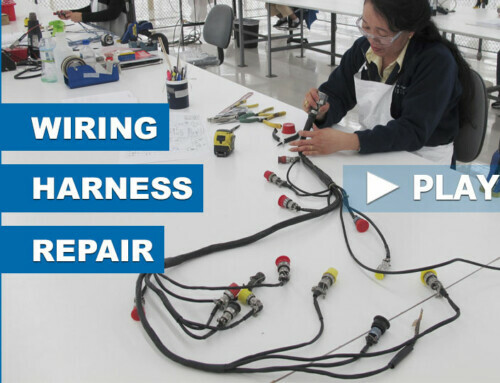 Wiring installation and integrity is of the utmost importance, as was recently highlighted in August when Japan’s All Nippon Airways (ANA) discovered defective wiring in three of its 787 Dreamliners. The airline detected the faulty wiring on an aircraft at Tokyo’s Haneda airport before a scheduled f light to Frankfurt. The wiring was eventually repaired and the departure to Germany went ahead, but if not found the defective wiring could have caused a fire-extinguishing system for the engine to malfunction, a spokesperson for ANA said. The faulty wiring prompted Japan Airlines (JAL) to abort a Helsinki-bound flight and to instigate checks on all 10 of its Dreamliners. These wiring defects arrive on the back of problems with the lithium-ion batteries on the 787, which forced a worldwide grounding for four months at the start of the year. The beleaguered 787 is a popular aircraft in Japan, and ANA and JAL are two of the Dream- liner’s biggest customers. It remains to be seen whether a full-scale investigation into these wiring malfunctions will follow. It is a statistically proven and widely accepted fact that flying is safer than most other modes of transport. Looking at the United States alone, there has been only one fatal crash in the last five years, an impressive record considering that more than 30,000 f lights take off every day. Yet it is the relatively extreme conditions of f lying — being 30,000 feet up in the air and not at near ground level, combined with the feeling that you have no control — which results in a fear of flying being uncommonly high in relation to other forms of transportation. However, with the advances in technology being made in the aviation industry, incidents and fatalities will hopefully be consigned to the past. 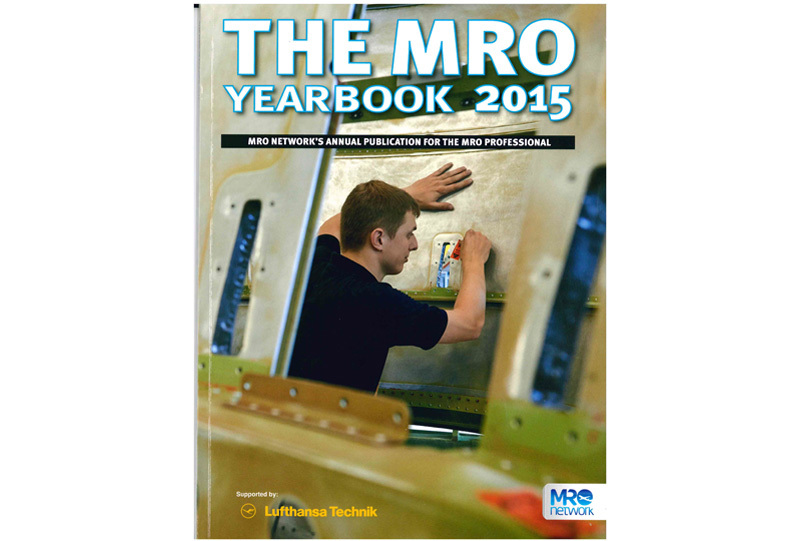 The MRO industry has a healthy future ahead, as Symonds concludes: “The airline industry has seen many changes since its inception, and the past decade or so has proven to be dramatic with great challenges. Our current economic environment has forced consolidation of both airlines and MROs, greatly reducing the number of independent organizations. This in turn, is forcing the reduction of suppliers. That being said, there is also opportunity.